“What is the optimal way, to use both science and experience, to get results for you or your client.” These words, quoted from coach Eric Helms, do a great job of summarizing today’s podcast. Andrea, Eric, and Jeff, sit down together this week to focus on the notion that, it’s not science vs. experience, but rather a collaborative effort between the two, that should guide us towards our goals. Science gives us broad principles, which are a great place to start from, however after this, we must learn to be our own scientists, and track and record data about ourselves. Where should you start if you are a beginner, just getting into this whole weight-lifting thing? What’s wrong with “black” and “white” thinking? How can personal anecdotes, when well “controlled”, be extremely useful? Join us this week to hear the answer to all these questions, plus many more, regarding the integration of science and experience. You guys, the content you are putting out is fantastic. 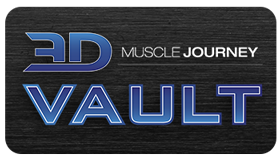 Thank you all for elevating the level of discussion in natural bodybuilding and strength training. I started my journey as a drug free bodybuilder in the early 1990s and will turn 40 this year. While it has been an invaluable element in my personal development, I have spent many years feeling very isolated due to the lack of critical thought and intellectual discourse in bodybuilding. So thank you not only for the excellent information you share, but for sharing your selves in the process. Makes me feel like I am among friends. Thank you so much for the input, Tracey! All the things you love about the podcast are the exact things we had hoped to create with it. Isolation is definitely a real demon in this sport, and we are beyond flattered that you have found a home here amongst friends. whoaaa!!!! Best podcast?! What an honor! We appreciate you listening, and even more so for letting us know what you think. Thanks, Zandre! I have been working on an article on this specific topic for the last few weeks. I’m interested in doing an interview with one of you guys, preferably Eric Helms, on the key points of how to apply scientific articles and research within your practical field of being a coach and/or a bodybuilder. The article will be published in the second issue of a brand new British bodybuilding magazine named World Bodybuilding Review coming out in the summer 2017. I have been searching for your direct email adresses to send out this question of mine but haven’t found any. Would you mind getting back to me if interested for more details? Thank you for always bringing up interesting and important topics – so far I have enjoyed listening to every single podcast you guys have done! Thanks for reaching out. Our contact page is the best way to formally get ahold of the team. Please feel free to submit an inquiry there and our admin will pass the message along as needed.